When Can You Apply For Your Provisional Driving Licence? 20 Feb When Can You Apply For Your Provisional Driving Licence? Learning to drive is one of the first – and biggest – steps towards your independence. But before you can get behind the wheel of a car or even take any of the three parts of the driving test, you’ll need to apply for your provisional driving licence. Although you need to be 17 to learn to drive a car, you can apply for your provisional driving licence for a motorbike, moped or car from the age of 15 years and 9 months. To get your provisional driving licence, you can either apply online or complete an application form and send it to the DVLA in Swansea. What is a provisional driving licence? So what does having a provisional licence mean? Once you get your provisional driving licence, which usually takes a week if you apply online and three weeks if you send your application form to the DVLA, you can drive on the UK roads with a qualified driving instructor or any driver over the age of 21 who has held their licence for at least 3 years. You can carry passengers, but the qualified driver must be in the passenger seat, and you’ll have to use L plates. And, most importantly, you must be over the age of 17. If you want to ride a moped or a quad bike, which you can do legally from the age of 16, you’ll need a provisional licence. 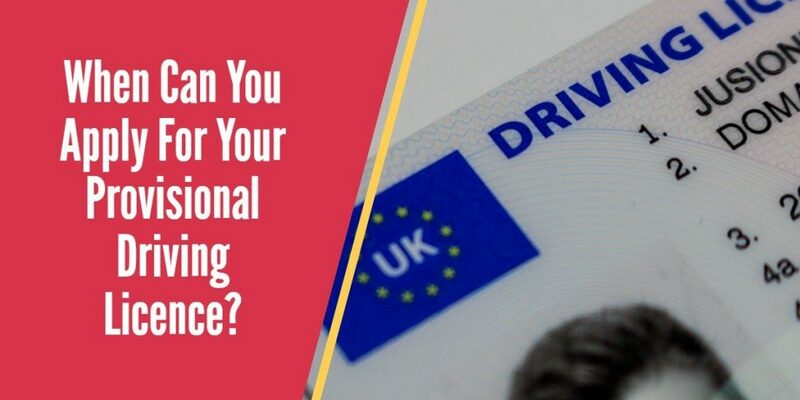 It’s also a widely accepted form of ID, and something you must have before you can take the theory test, hazard perception test or driving test – and before you can book your very first driving lesson, so it makes sense to apply for your provisional licence as soon as possible. How do I get my full driving licence? Once you pass your test, your licence needs to be upgraded to a full UK driving licence. This can be done electronically by scanning your photo licence at the test centre, or signing the declaration on the pass certificate and sending it to the DVLA with your provisional licence. Within four weeks you’ll have your full UK driving licence. How Many Driving Lessons Will You Need?